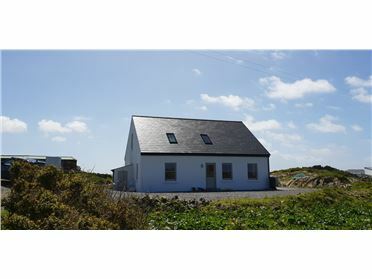 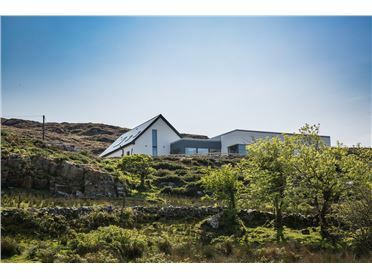 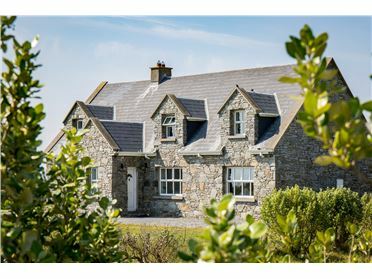 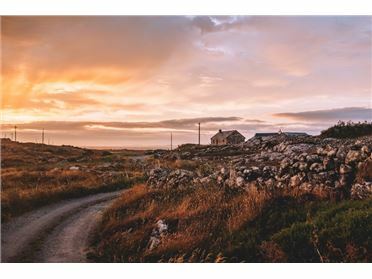 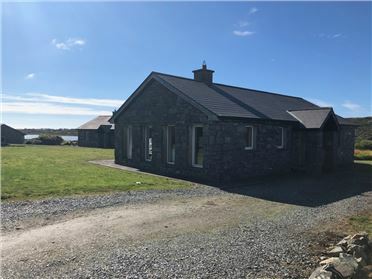 Truly stunning interior designed four bedroom house only moments from the Capital of Connemara, Clifden. 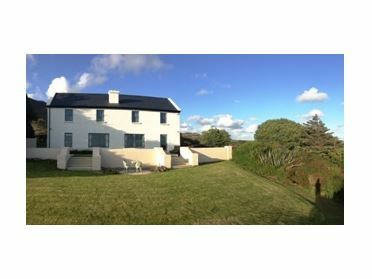 4 Bedrooms - 4 double bedrooms - 2 ensuite bathrooms, 1 ensuite shower room, 1 family shower room & 1 separate WC. 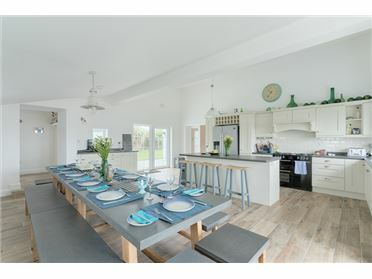 We have a truly beautiful contemporary designed home which has been constructed to the highest design and energy efficient standards to offer you and your family. 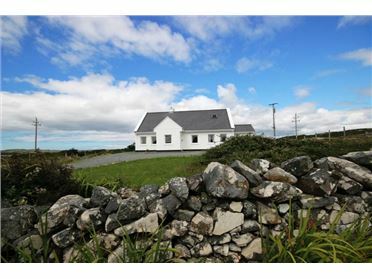 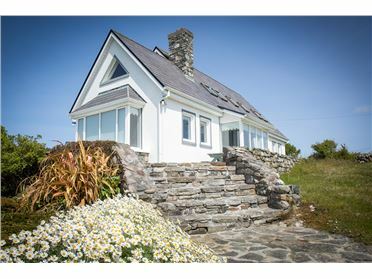 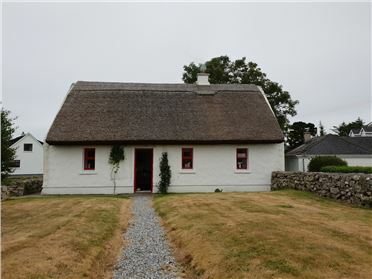 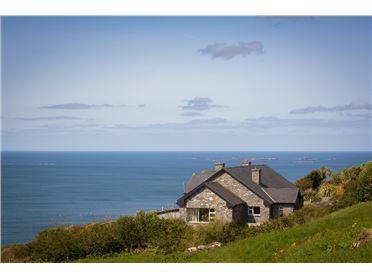 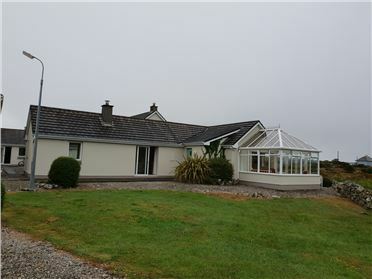 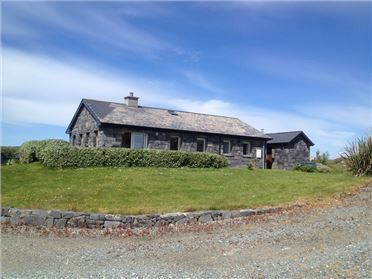 Close to Clifden town this 'wow' house truly has it all. 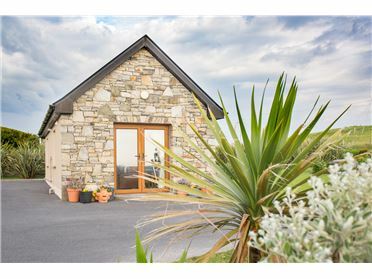 From the stunning scenic views of the mountains and lakes to the large garden area that surrounds this wonderful home and a cleverly positioned courtyard which takes full advantage of the evenings setting sun where you can enjoy your glass of wine or beer or both or simply read a book and relax. 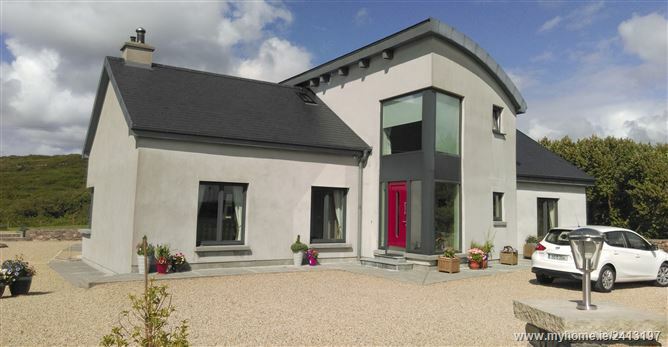 On entering the house you'll be taken by the immense amount of light and warmth that penetrates this lovely home. 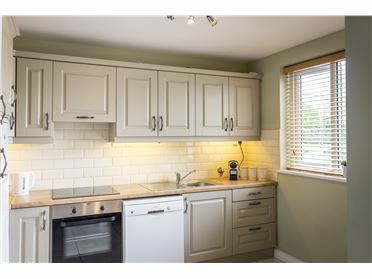 The bright neutral colours lead to 2 individually designed bedrooms off the large hallway. 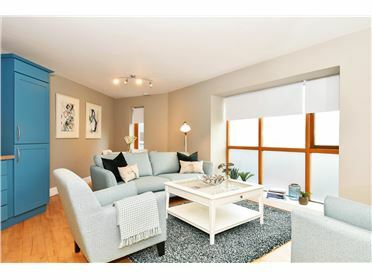 Bedroom 1 features a lovely palette of calming colours with its large king size bed and classically designed ensuite bathroom with its bath / shower being a wonderful feature. 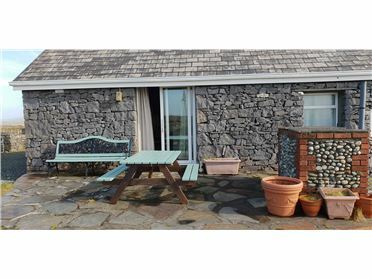 Just off the hallway is an ample sized family bathroom with shower, toilet and wash hand basin. 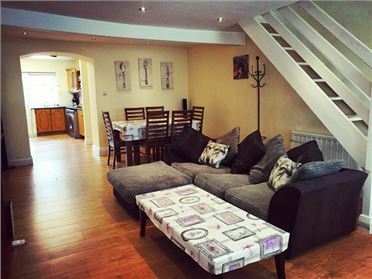 On the other side of the hallway sandwiched between the wonderful oak staircase is the large living room accessible from a double door entrance. 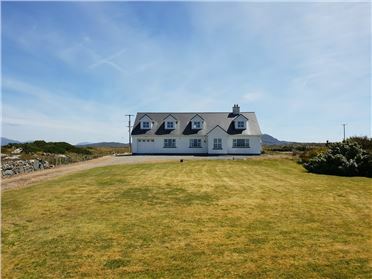 The gallery of pictures say it all, the cassette wood burning fire, the corner window with its view down over Clifden town, to the 3 sofas that lets you relax, and enjoy your holiday. 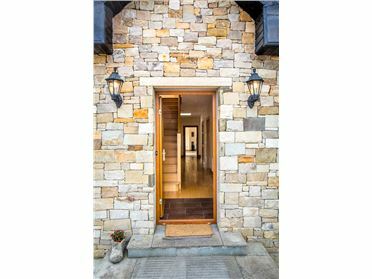 The walkway from the hallway into the kitchen gives you the first glimpse of the floor to roof glass link way and the enclosed courtyard and the wonderful stonework around this part of the house.